Zawe Asshton made her way to the red carpet yesterday evening(September 27th) for the premiere of ‘A Star is Born’ at Vue West End in London. 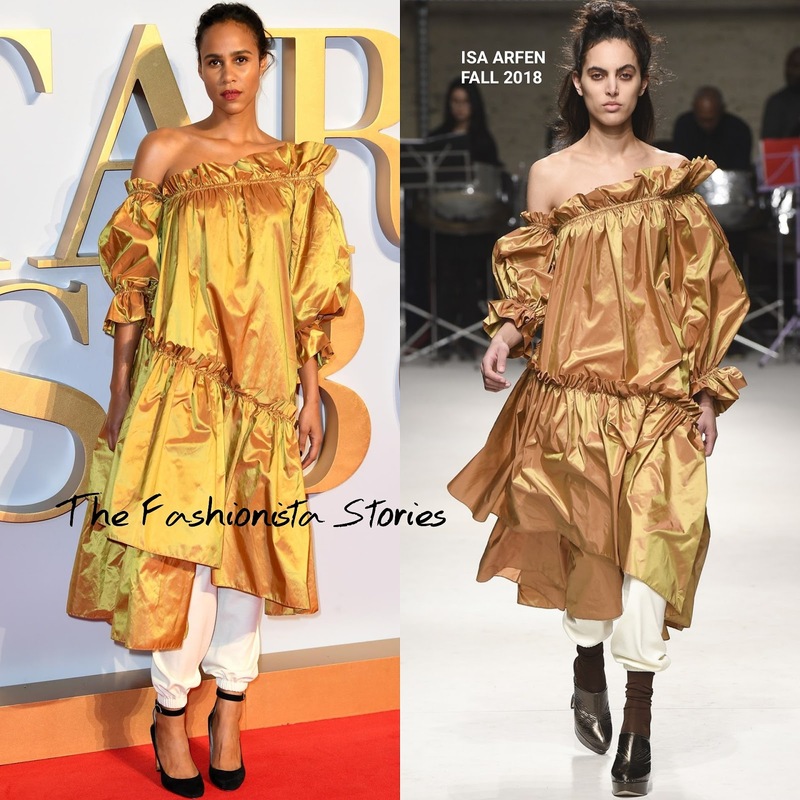 Zawe wore a ISA ARFEN FALL 2018 gold ruffle, asymmetrical gathered dress which was layered with white joggers. The dress is a difficult piece, mainly because of the fabric and the shape. While I am not loving this for those reasons, kudos to her for taking on a challenging piece which is something that she rarely does. Did Zawe sell you on this look?